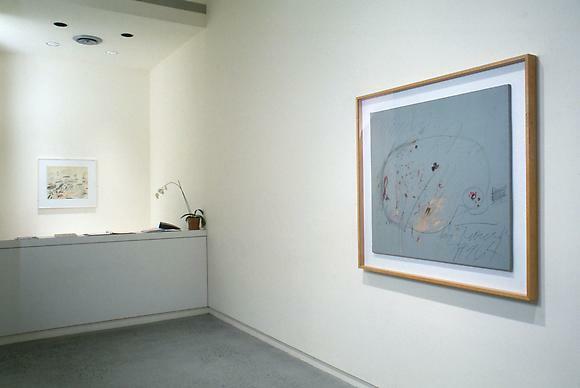 Cheim & Read is pleased to announce an exhibition of works by Cy Twombly from the years 1963 to 1979. The examples which do not consist of rows of figures tend, as in Night Watch of 1966, to present some sort of diagram which might have served to illustrate a lesson in geometry or mechanics. But then all the grey paintings return us that schoolroom. Only, the artist is playing a different role. He is no longer the boy covertly scribbling erotica in an exercise book but the agent of authority besides the blackboard. The exhibition opens Saturday, October 18th, 1997 and will remain of view through Saturday, November 15th, 1997.